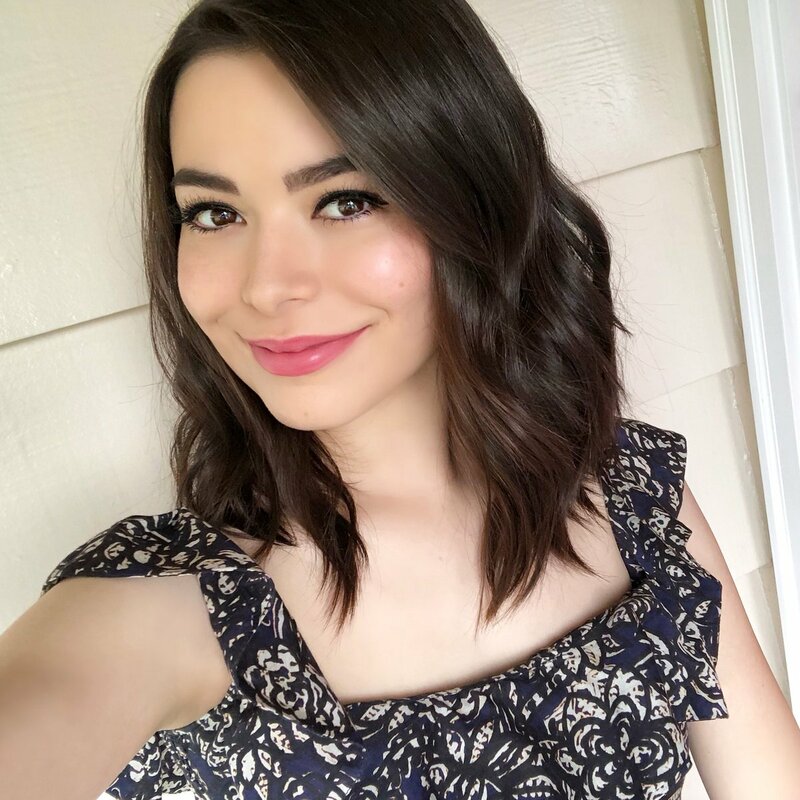 Miranda Cosgrove (born Miranda Taylor Cosgrove 14.05.93) Miranda Cosgrove is an American singer and actress, best known for her debut film appearance in 2003's 'School of Rock', and her Nickelodeon television series 'iCarly'. 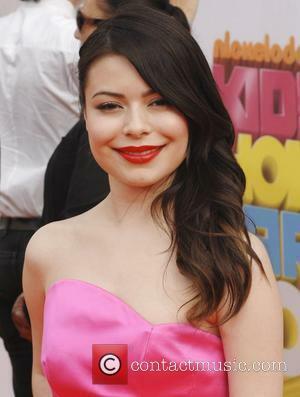 Net Worth: According to Celebrity Net Worth in 2013, Miranda Cosgrove has a net worth of 7 million USD. Childhood: Miranda Cosgrove was born to Tom and Chris Cosgrove in Los Angeles, California. At the age of three, Cosgrove was seen singing and dancing at Los Angeles restaurant 'Taste of L.A.' by a scouting talent agent. After approaching Cosgrove's mother about having Cosgrove appear in adverts, the agent was able to land Cosgrove roles in commercials for McDonald's and Mello Yello. Career: In 2001, Cosgrove made her first non-commercial television appearance in the pilot episode of 'Smallville', playing the voice of a 5-year-old Lana Lang. Two years later, Cosgrove made her first film appearance alongside Jack Black in the film 'School of Rock'. This led to her first major television role, in which she began to work on Nickelodeon's 'Drake & Josh' in 2004. As she began to get on well with series producer Dan Schneider, additional roles opened up for her, with appearances in animated series' like 'What's New Scooby Do' and 'Lilo and Stitch'. In 2007, with the final episode of 'Drake & Josh' set to air, Cosgrove was already in talks for her own series, entitled 'iCarly'. 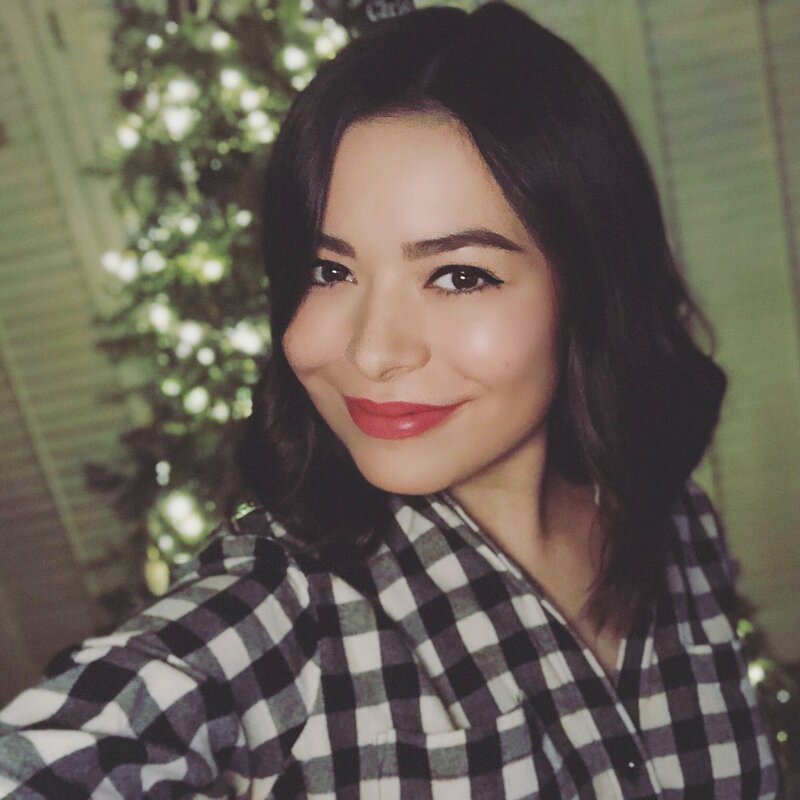 With the new show, came a chance for Cosgrove to showcase her singing abilities, as she performed and recorded the theme song for the series. The song, 'Leave It All To Me' was released for digital download, and peaked at number 100 on Billboard's 'Hottest 100' chart. Cosgrove continued to record and release music, including a few songs to promote 2009's 'Cloudy With a Chance of Meatballs'. On 27th April, 2010, Cosgrove released her debut studio album, 'Sparks Fly'. The album was supported by her debut tour, the 'Dancing Crazy Tour', in which she toured across North America and Canada. Some of the later shows had to be cancelled after she broke her ankle in a car crash. She voiced a character in 2010's 'Despicable Me' and its 2013 sequel. 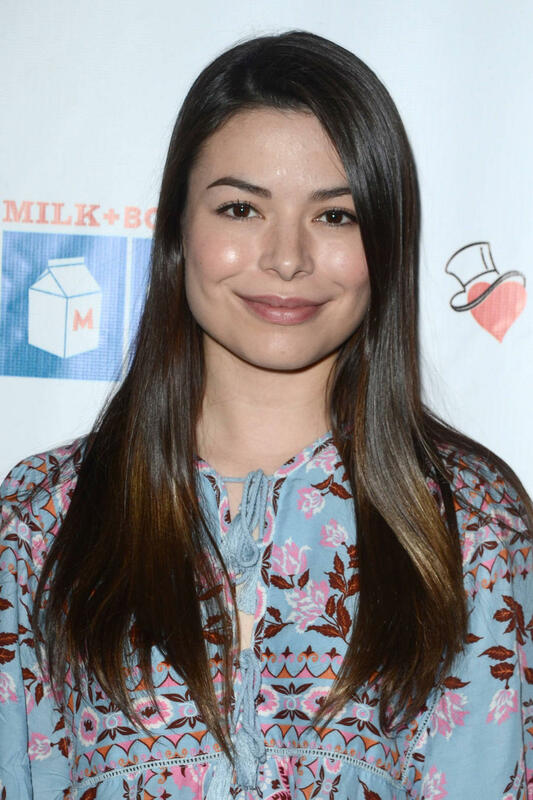 Personal Life: Miranda Cosgrove began attending the University of Southern California in 2012 and revealed in an interview that she was majoring in film. She has also worked hard as a supporter for St. Jude Children's Research Hospital in Memphis, Tennessee, and enjoys supporting charities like Education Through Music. Actually the fourth film in the series (don't forget the prequel Minions), this animated super-villain comedy continues the wildly hyperactive antics of Gru and his yellow sidekicks, blending hilarious references with crazed action to keep the audience laughing. It's so jam-packed with gags that the movie leaves the audience feeling a little bewildered along the way, since we never get a chance to lock into either the story or characters before we're off for another manic set-piece. But it's a lot of fun. We catch up with Gru (Steve Carell) and his wife Lucy (Kristen Wiig) as they've just been outfoxed by arch-nemesis Bratt (Trey Parker), a former 1980s child TV star gone very, very bad. Sacked by the Anti-Villain League, Gru and Lucy are unsure how they're going to support their three adopted daughters (Miranda Cosgrove, Dana Gaier and Nev Scharrel). Then they discover that Gru has a twin brother he never knew about. So they head to a remote island nation, where they meet Dru (also Carell), who lives in splendour on his epic pig farm. But Dru dreams of being a villain like their late father, so he convinces Gru to offer him some training. 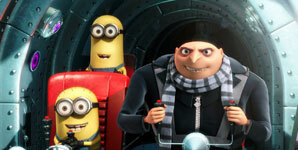 And, pretending that it's a heist, Gru takes Dru along on a mission to capture Bratt. Every scene is a riot of jokes, mainly poking fun at 1980s movies, music, TV shows and fashion. Bratt is hilariously annoying, with his awful moustache and mullet, and a lair that recreates the set from Olivia Newton John's Physical video. But these witty touches fly at the screen so quickly that they only just register before there are another five gags upon us. The frantic pacing is enjoyable even if it's rather exhausting, mainly because the characters are so endearing. Carell and Wiig once again bring their impeccable timing to their roles, mixing comedy with some surprisingly sweet emotion in their parallel storylines: Gru as he learns to be a brother and Lucy as she yearns to be seen as a mom to the girls, two of whom have little subplots of their own. Gru, the Minions and his wonderful girls will return to the cinema this June when the third instalment of the movie is released. Though his personal life is at a peak, Gru's professional life is going through some issues. 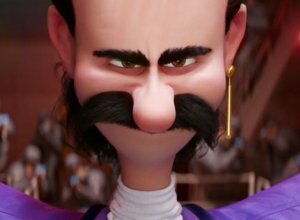 When he lets the devious troublemaker Balthazar Bratt get away with the theft of a precious jewel, Gru comes under fire from his bosses and ends up getting fired. 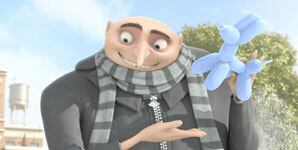 Now at a low point, Gru turn to his wife, Lucy, and the girls for support but they're unable to solve Gru's problems. When the former bady finds out that he has a twin brother, the pair are reunited and it appears his brother Dru has everything Gru hasn't. He has wealth, luscious blonde locks, pigs, a huge island home and a devious villain layer underneath his mansion which Dru uses to lure Gru back into a life of crime - unbeknownst to Lucy and the girls. As Gru starts to remember his bad boy youth, the temptation to become the best supervillain once again becomes too much for Gru to refuse. Will Gru be able to once again prove to his brother that he's capable of topping the ranks in the supervillain world and outwitting his latest nemesis, former child star Balthazar Bratt - and if he does, will he risk losing his real family who've stuck by him in the past? 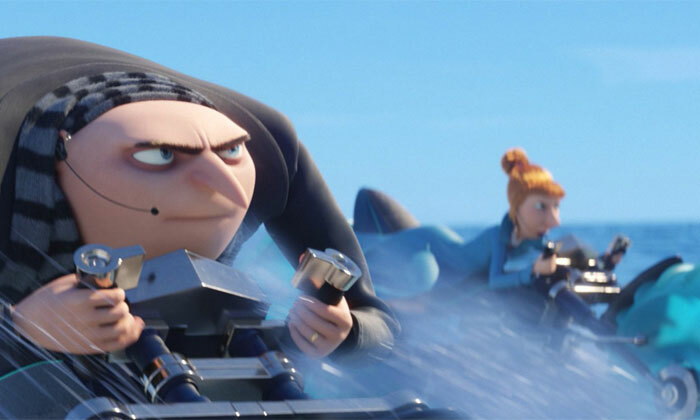 It's been some time since Gru embarked on a villainous plot to take over the world; now that his adopted daughters Margo, Edith and Agnes are growing up and he's married to Anti-Villain League agent Lucy Wilde, he's more about being a family man than being a baddie. Of course, that also means that not a lot of money is coming in and so he needs to find financial help soon. 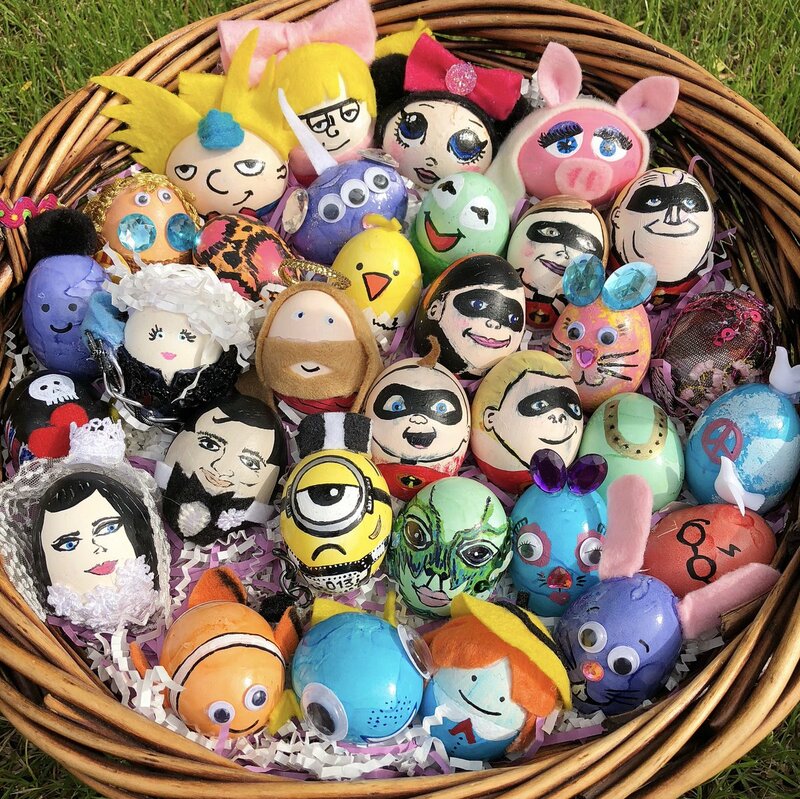 Agnes does her best to raise funds with a garage sale and waves goodbye to her beloved unicorn, but ultimately it's the arrival of Gru's wealthier and blonder long-lost brother Dru who provides a light at the end of the tunnel. With his money, they manage to formulate a plan together to take down a criminal diamond thief named Balthazar Bratt - who happens to not be hard to find given that he's a flamboyant former 80s movie star. Meanwhile, the Minions are growing angry that their master no longer wants to pursue evil deeds. 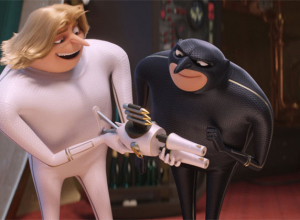 Gru (Steve Carell) has renounced his nefarious ways for good now that he's happily married to Anti-Villain League agent Lucy Wilde (Kristen Wiig), but he's still very active when it comes to taking down the other criminals of the age. One such criminal is the disco-dancing, shoulder-pad loving Balthazar Bratt (Trey Parker); a diamond thief who is also a former child star still obsessed with his famous film role from the 80s. But that's not the only adversary Gru must face on his next adventure. His long lost twin Dru returns and tensions are high between these siblings. The Minions are back, obviously - not that Gru needs minions when evil misdeeds aren't the order of the day - and Margo (Miranda Cosgrove), Edith (Dana Gaier) and Agnes (Nev Scharrel) are a little older and wiser but just as adorable. 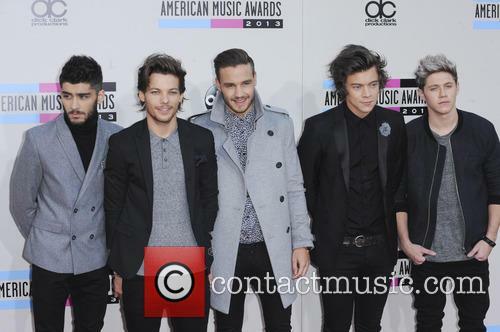 One Direction and Jennifer Lawrence took home two awards apiece at Nickelodeon's Kids' Choice Awards. One Direction were voted Favourite Music Group and received the award for Favourite Song whilst Lawrence took home Favourite Movie Actress and Favourite Female Buttkicker. Pharrell and Kaley Cuoco did not manage to avoid the slime at this year's Nickelodeon's 27th Annual Kids' Choice Awards. The awards, hosted by Mark Wahlberg, were held yesterday night (29th March) at the USC Galen Center in Los Angeles. One Direction won the awards for Favourite Music Group and Favourite Song. Music wise, One Direction did incredibly well gaining the awards for Favourite Song with 'Story of My Life' and Favourite Music Group. Whilst, in the solo category, Justin Timberlake received took home the award for Favourite Male Singer and Selena Gomez for Favourite Female Singer. Gomez was seemingly delighted with the award and tweeted thanking her fans for voting for her, adding a picture of her after the awards grinning broadly. The cast of 'School of Rock' reunited after ten years apart. School of Rock's cast have reunited after ten years apart. The cast of the musical comedy appeared at a celebratory event in honour of the film's tenth anniversary. Hosted on August 29th, the screening was held by the Film Association of Austin. 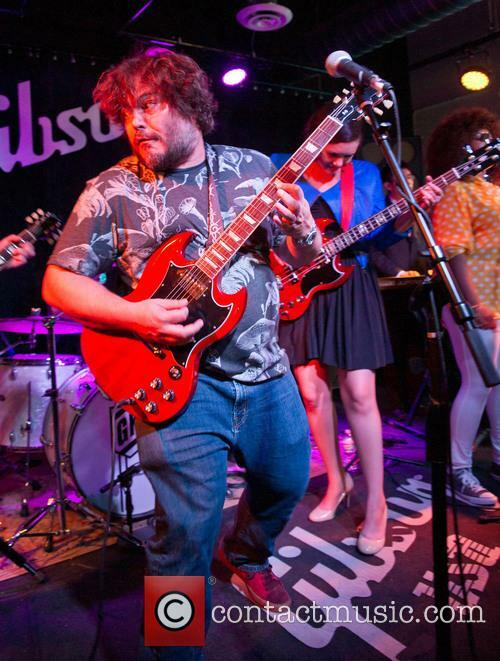 Jack Black performing with the School of Rock band. The event in Austin, Texas saw Jack Black and the class of 2003's School of Rock appear at a special screening to celebrate the film's ten year anniversary. The event included a screening of the show, a Q&A session and a performance by the School of Rock band. 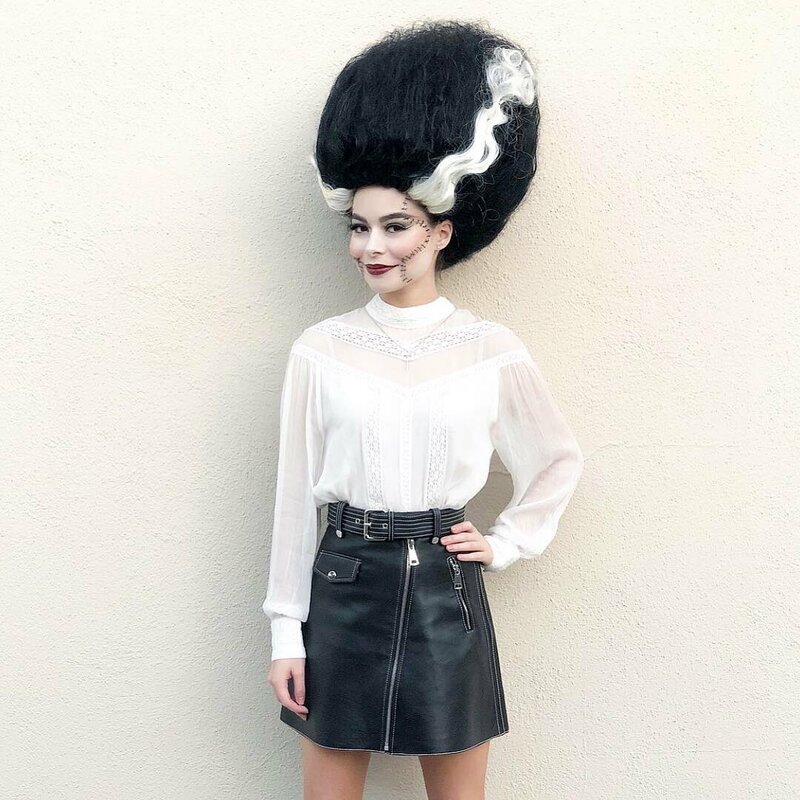 Miranda Cosgrove posted photographs of the event on Instagram, including a photograph of the cast ten years ago. 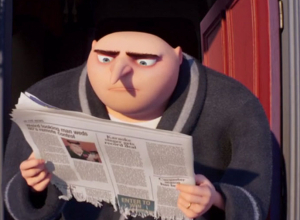 Former evil-doer Gru, who once attempted the career-defining heist of stealing the moon, has seemingly left a life of evil deeds and landed himself a new kind of job. Albeit fairly reluctantly and without actually having a choice, he has been enlisted by Silas Ramsbottom of the Anti-Villain League on a world-rescue mission as a new villain arrives in town, to the delight and pride of his young adopted daughters Agnes, Edith and Margo. He and Agent Lucy Wilde must now embark on a new kind of adventure with the help of Gru's faithful, blabbering Minions. But with interfering neighbours coupled with his girls becoming older and smarter, saving the world from a ruthless rogue seems the least of his worries. 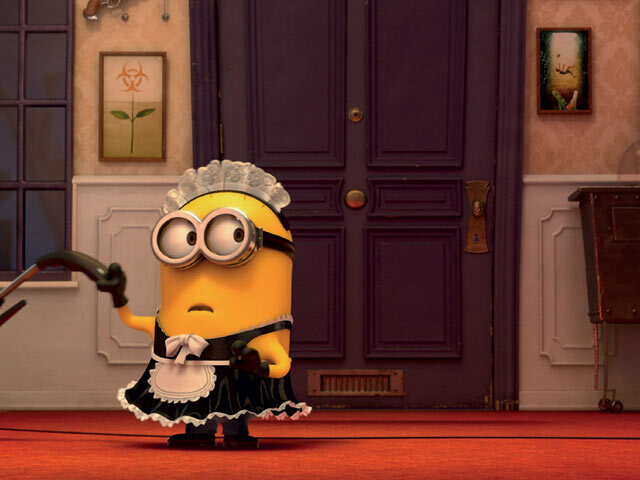 'Despicable Me 2' is the wonderful follow-up to the Golden Globe nominated 2010 animated comedy 'Despicable Me'. It has been produced by the geniuses behind 'Ice Age' and 'Shark Tale' comes 'Despicable Me 2' and sees the thrilling return of directors Pierre Coffin and Chris Renaud ('The Lorax') with screenwriters Cinco Paul and Ken Daurio ('The Santa Clause 2', 'Horton Hears a Who! ', 'Hop'). Already with an award nomination under its belt (from the Golden Trailer Awards), this adorable flick will be released on June 28th 2013. 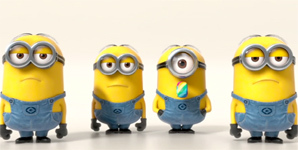 Watch the Despicable me trailer here! 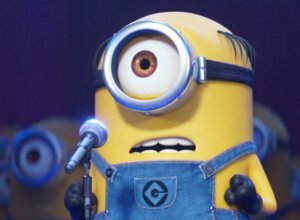 The full trailer for 'Despicable Me 2' has finally arrived with plenty of laughs to go around. 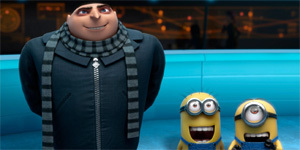 The Despicable Me 2 trailer is finally here seeing the return of your favourite Despicable Me characters including former supervillain Gru, his beloved foster children and his faithful Minions, as well as some entertaining new additions to the Despicable Me cast. We got the slightly bizarre teaser over a year ago showing nothing more than the funny yellow aliens that serve Gru (Steve Carell) performing an adorable rendition of The Beach Boys' hit song 'Barbara Ann'; it certainly managed to keep the plot under wraps though it was far from a disappointing introduction into the much anticipated sequel to this Golden Globe nominated flick. Following Gru's evil plot to steal a shrink ray and hijack the moon in the first film, he adopted three young girls named Agnes (Elsie Fisher), Edith (Dana Gaier) and Margo (Miranda Cosgrove) after taking pity on their misfortune. This time round, it looks like Gru has taken fatherhood in his stride and devious deeds seem to be the last thing he's thinking about, particularly as the eldest girl is getting, well, a little too old for his liking. Just as the prospect of a quiet life looms, however, he is abducted by a feisty agent (Kristen Wiig) from the Anti-Villain League, headed by the pompous Silas Ramsbottom (Steve Coogan) who wish to use him to help save the world from a new evil - and Gru is well up for the challenge! @cindyxchen That is so nice! You made my day! Thanks for the kind messages! @Ericsso_n Wonder and Lady Bird! @shwnrevival So excited!! It’s my favorite holiday!